The compulsion under which the Biafrans came, to defend themselves against the British government instigated and sustained pogroms, (which resulted in a barbaric genocide that was only second to the Jewish holocaust), was both irresistible and inevitable. 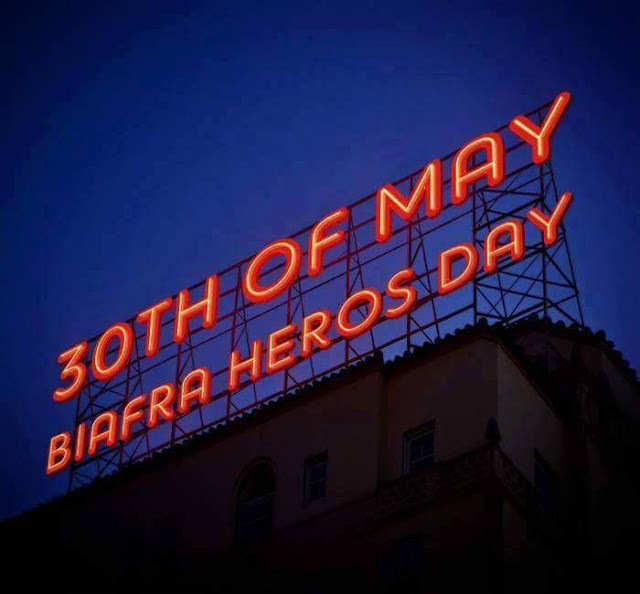 Still nursing the pains of humiliation, eviction, uprooting, and ejection from Nigeria by majorly Biafran independence activists, the British government, as represented by Harold Wilson, was full of fury, venom, and rage towards the Biafrans, who they chose to refer to as Igbo. Time will fail me to recount all the ugly incidents and manoeuvres that took place after the surreptitious transfer of power to Hausa Fulani oligarchy which was deceitfully called Nigeria independence. It was in this rage and hunger for their pound of flesh from the Biafrans that the murderous British government successfully set a trap, into which some Nigerian army officers walked. They used the opportunity of having caught these army officers in their trap to prosecute their vengeful agenda by spreading the lie (through their luciferous BBC) that the coup was an Igbo coup. This malicious falsehood manufactured in Britain and sold to other Nigerians about the Igbo enraged, incensed, inflamed, and infuriated other Nigerians, as a result of the envy, jealousy, and fear of the Igbo which had already been incubating in their minds against the Biafrans (whom the British had taught them to call Igbo. It was in this charged atmosphere that Nigeria CONTINUED the massacre of Biafrans, which commenced in 1945, and is still ongoing till date. This massacre of Biafrans, which had become a Nigerian state enterprise, assumed frightening and uncontrollable dimension from the middle of 1966 when Britain subtly engineered the rest of Nigeria to decimate the Biafrans. It was in the midst of all these killings that we Biafrans fled to our home region for safety but could still not be safe in our home. It was, as a result of seeking a platform, upon which we could defend ourselves that the Republic of Biafra was declared.